So...this is the post with the three artists I think most people expected to be on the list, considering they helped bring on the teen pop explosion of 1999...Can you guess my #2 and #1? Click here to check out the (hilarious) European music video, or here for the American version. Le sigh. Ah, my sweet youth. That's what the five boys (well...men, now) of *NSYNC equal to Mel's mind. They may have been lampooned into yester-year during their heyday of the late 90's/early 00's, but time has proved just how much of an impact these kids have had on music. 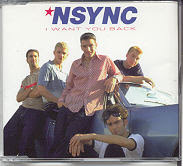 "I Want You Back", a Max Martin/Denniz Pop ditty was the little song that kicked off an epic career, selling over a million copies in the US (and yet somehow only peaking at #13 on the Hot 100 -- the first of main chart surprises for the boys -- like the fact that they only had one #1 on the Hot 100: "It's Gonna Be Me"). It was obviously from their debut album, 'NSync, which is one of the few modern day albums to have gone diamond (translation = over 10 million albums sold in the US alone! ), and would lead to the frenzy that was their sophomore album, No Strings Attached, which sold over 2 million copies it is first week on the market. Nowadays, albums just don't sell this way (by a long shot) and it helps paint the picture of just how much the music industry has changed in just a few short years. I love telling this story, so I'll tell it again: during one of my first music industry related classes in my freshman year of college, my professor used the No Strings Attached album as a sales example. He also went on to state that due to the fact that the freshman class that year was in the key age demographic of who would have been buying that album back in 2000, he was pretty sure there was at least one person in that class alone who bought that album in its first week, possibly even on the first day. I didn't really have the nerve to cop to the fact that I actually bought it THE DAY BEFORE it came out, due to a error on my local FYE's part. But...he's a pretty smart guy. Ha. The steam behind *NSYNC began to falter after 2002 (and the release of their final studio album, Celebrity, in 2001), but all of the members have gone on to pursue other projects with varying results. JC Chasez released a solo album in 2004, Schizophrenic, which sold a paltry less than 200,000 total. While, Justin Timberlake has become a poster child for male pop&B, selling a grand total of about 18 million records worldwide between his two solo albums (Justified and FutureSex/LoveSound). *NSYNC themselves have sold about 56 million records worldwide, bringing the group's total to around 74 million records by *NSYNC and their "alumni". It's also arguable that they helped launch the careers of their many opening acts/friends: Britney Spears, P!NK, and Ryan Tedder (of OneRepublic fame) (as well as several underrated/underappreciated poptarts like Innosense and Tonya Mitchell). Also -- the back beat to this song sounds eerily familiar to V Factory's "Love Struck" slightly slowed down. Just saying. Love her or hate her (say what you want about her...I crack myself up), Britney Spears knew how to keep an audience breathless, and lend her trademark breathy vocals to a perfect pop song. Case in point - Max Martin's opus "...Baby, One More Time". It's one of those songs that, even if you despise it, you have to admit -- it's kind of a modern classic. That coupled with Britney's now iconic school girls outfit and you have the makings of a new megastar. Surprisingly, "Baby" was Brit's only #1 until recently -- 2008's "Womanizer" of her most recent disc, Circus. Even more suprising is the fact that the song was originally offered to r&B super group TLC for their comeback album, FanMail, (which featured their big hit "No Scrubs" back in 1999), but the group turned it down. In turn, the song was given to Jive Records' latest signee, the 17 year old and virtually unknown Britney Spears. The song went on to be nominated for a Grammy for Best Pop Female Vocal Performance (but it lost, along with Brit herself for Best New Artist -- losing to former co-star, Christina Aguilera). Despite her initial "setbacks", Brit proved her staying power. Her debut album (of the same name), stayed in the Billboard 200 for two years, and she has since released five more albums, selling a grand total of around 85 million albums worldwide, and continues to perform (even admist her very public "breakdown"). While I was hardly Brit's biggest fan past this album (pretty much everything past "Oops...!" until "Toxic" left me less than impressed), "...Baby, One More Time" will forever remain in our time capsules as a glorious part of 1998 - and a supreme reason why pop made a major comeback. Everyone knows I'm a ride-or-die *NSYNC girl, and back in the days of 90's teen pop -- every pre/teenage girl had to choose: *NSYNC or Backstreet Boys. My love for the former aside, BSB did hit the ground running first, and I'll admit to owning a copy of their debut album. Old rivalries do die hard, but there is just no denying the fact that while my boys are no longer recording, BSB is still grinding out album after album (even if they are now down a member), no matter its level of success. It is admitable that the two groups were a bit more alike than they were different during the time that the two were both recording/performing at the same time -- both were founded by the diabolical Lou Pearlman, both recorded a stack of hits thanks to Max Martin/Denniz Pop/Kristin Lundin, and the power Swedes in Stockholm's Cheiron Studios, both were managed by Johnny Wright, both's debut albums went diamond in the US, both remain to be "signed" to Jive Records...the comparison's are kind of exhausting. Long before the iconic nature of "I Want It That Way" (from their sophomore album, Millenium), "We've Got It Going On" introduced BSB as a white, more urbanized version of Boyz II Men. Their music was always much more adult and R&Balladized than *NSYNC's poppier fluff fare, so it was more a matter of personal opinion as to who you liked more. 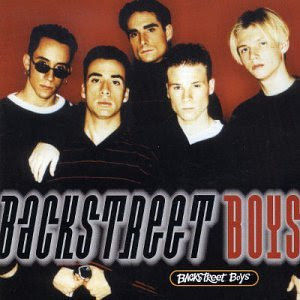 Unlike their main competitor, BSB never managed to score a #1 on the US Hot 100, they did have five #1's on the Top 40 Radio Charts (three of them from their debut album). However -- album sales numbers just don't lie, and BSB - now five albums deep with a sixth on the way -- have sold over 100 million albums worldwide, making them, arguably at least, the world's most successful "boy band". I would include member Nick Carter's solo attempt, Now or Never, but it sold a paltry 70,000 copies worldwide...seems the boys are better together than they are apart. We can also thank them for helping launch the careers of Mandy Moore, and the criminally underrated Krystal.